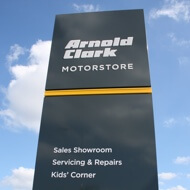 The first UK branch to showcase the new Arnold Clark branding and logo, Arnold Clark Leeds has over 250 vehicles available to browse on site. 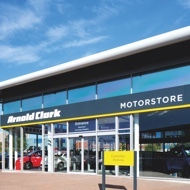 As well as the fantastic range of nearly new and used cars you can expect to find in an Arnold Clark Motorstore, Arnold Clark Leeds is also home to the Alfa Romeo, Fiat and Jeep franchises. 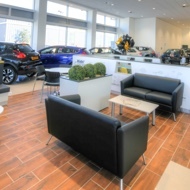 So, if you prefer to custom-order your new car from any of these manufacturers, they'll be able to accommodate your needs and build it to your chosen specification. Arnold Clark Leeds also has everything you need for the onward journey, including a Servicing & Repairs department and access to our great range of aftercare products. While you wait, enjoy a hot or cold drink, Wi-Fi access and a widescreen TV. 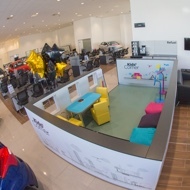 There's even a children's play area equipped with iPads to keep little ones entertained. 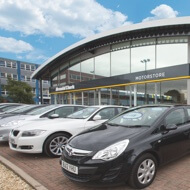 We're delighted to have everything our customers could possibly need, all under one roof, to give them the best possible car-buying experience. Explore Arnold Clark Leeds further. For news of exclusive in-branch events and offers, sign up to our mailing list here.